LMS LABOR- UND MESSGERÄTE GMBH STÜTZERBACH, Stiklinės talpos, laboratorijoms ir technikai, Volumetric flasks, Graduated cylinders, EUROPAGES. 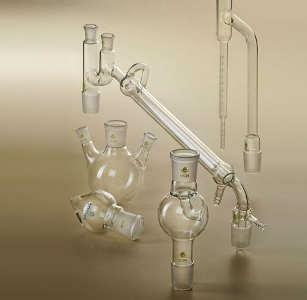 For around two centuries, technical glassware has been produced in Stützerbach and Ilmenau. True to this tradition, LMS was founded in Stützerbach in 1992 and moved to Ilmenau in 1995. A team of highly qualified personnel works to meet demanding quality standards in all areas of technical glass processing and machining. The equipment we produce is sold all over the world and has earned an outstanding reputation. 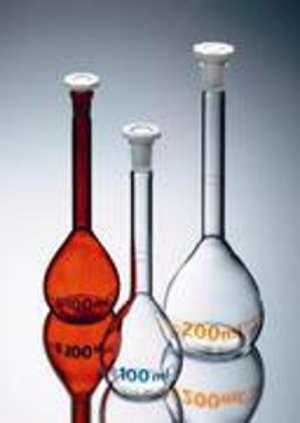 LMS has secured a place among the leading laboratory glassware manufacturers in Europe through continuous further development of its products and technical processes. Our customers around the globe value the cost-effectiveness, quality and reliability of our products. Fully automatic and semi-automatic production on circular conveyor and flat conveyor machines, computer-aided glassworking lathes and mechanised individual workstations allow high levels of flexibility and efficiency. Expert qualified manual work produces highly sophisticated glass equipment – even custom-made according to our customers' needs.